1. Peel off the skin of watermelon(apprx. Quarter of a medium sized watermelon) and cut it into medium sized cubes(apprx. 2 inch sizes). 2. Put the pieces in a bowl. Using a masher or ends of a sharp steel glass, crush the watermelon. Crush till the juice comes out nicely and yet there are small bite size chunks of watermelon. 3. 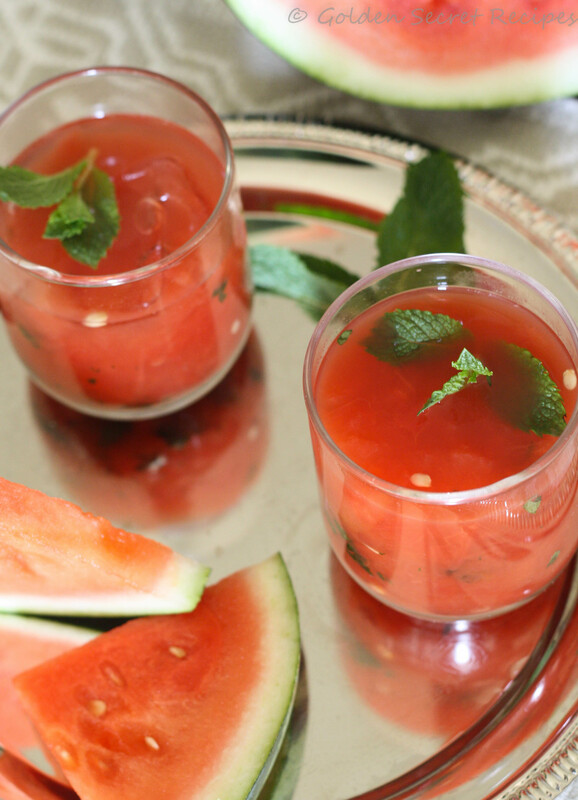 Lightly crush with mint leaves and add it to the crushed watermelon. Also squeeze the lime into it. Give it a good mix. 4. If the watermelon isn’t sweet enough, add sugar and mix well. 5. Pour into serving glasses and serve chilled!!! 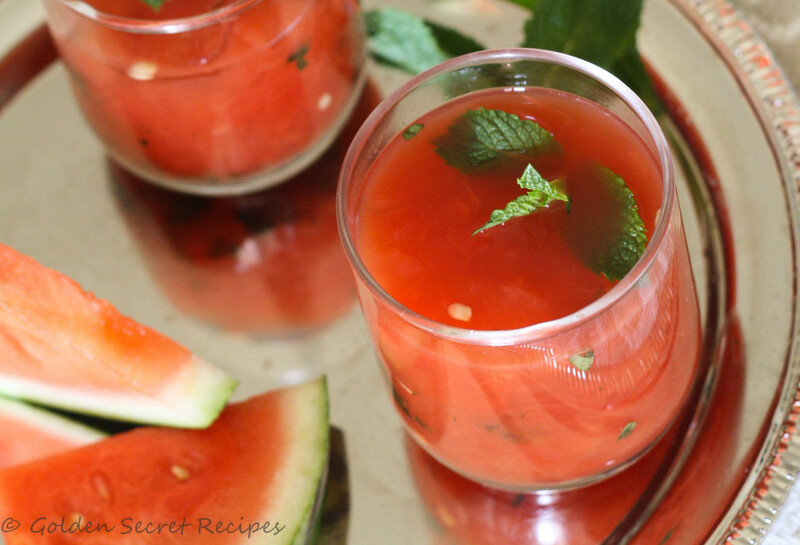 This entry was posted in Beverages and tagged Cool beverages with watermelon, Refreshing drink with watermelon, Watermelon and mint crush, Watermelon crush, Watermelon juice. Bookmark the permalink.